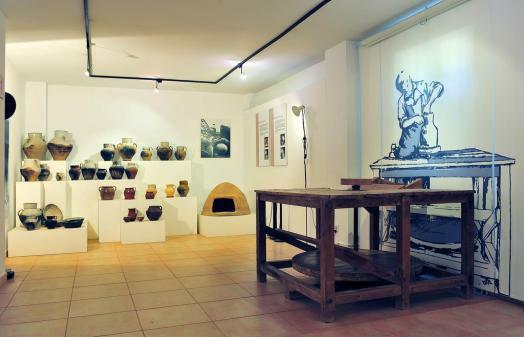 The Basque Pottery Museum is in the Ollerías district of the town of Elosu. 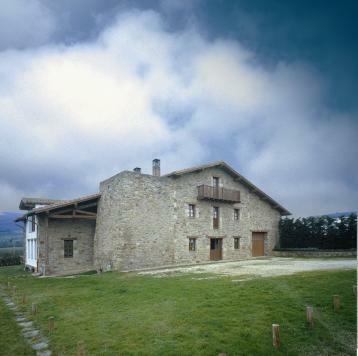 The Museum stands in a rural setting of great beauty between the Urkiola and Gorbea Nature Parks and on the banks of the Alava reservoirs. The building is an old pottery factory which was rehabilitated and opened to the public in 1993, thanks to an ambitious integral recovery project undertaken by Blanka Gómez de Segura. The project was successful thanks to the backing of the Diputación Foral de Álava and the Museum is maintained with the support of a collaboration agreement. Built in 1711, the factory was the old pottery shop used by several generations of the Ortiz de Zárate family. In 1958, when the Urrúnaga reservoir was completed and the land from which the potters obtained their raw materials were flooded, they were forced to close down, with all the clay left under water. The enormous old kiln is annexed to the building. It is square in shape and 18 feet high. Thousands of articles were fired in it over the centuries until it was lit for the last time in 1958. In 1993, it was included as a Monument in the General Basque Cultural Heritage Inventory.